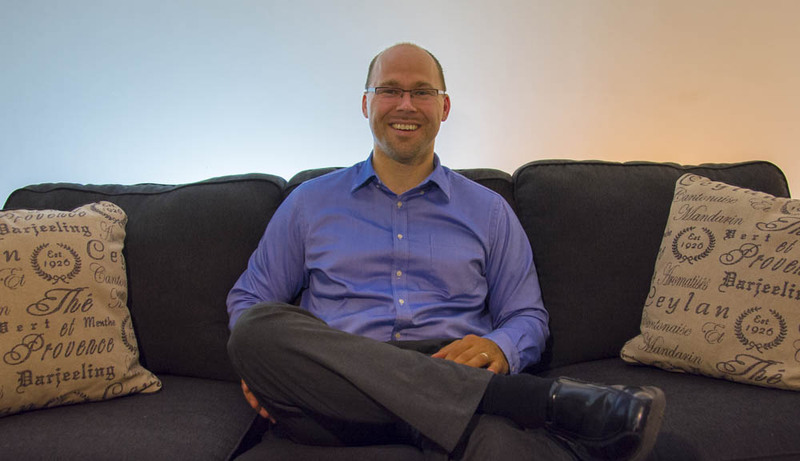 Professor Andrew Trapp-- who is also affiliated with the Mathematical Sciences and Data Science departments-- teaches his students that the best science brings together solid research with practical applications that will make a positive impact on society. Andrew Trapp works with formulas and algorithms to understand the analytics involved in decision making (in everything from healthcare to power grids) and how it’s influenced by many factors. I study decision making in the context of mathematical optimization. My main interests lie in the area of humanitarian decision making. For as long as I can remember I have been interested in the trade-offs between decisions—meaning, what combination of choices is allowable and, possibly, optimal. This is a tough question. Perhaps that we are wearing white coats and doing laboratory experiments, exploring theoretical concepts that have little to do with reality. In my opinion, the best type of research is that which marries deep underlying theory with very practical, impactful applications. I think the routine discipline of my days, deeply considering research avenues and possibilities, both on my own, and together with inquisitive students, that will have a lasting impact. At least, that's the goal. The goal of my humanitarian decision-making research is to have a lasting impact on improving our society. I am fortunate to regularly involve WPI students, both undergraduate and graduate, in my research activities. I believe this early formative exposure in their career helps create future explorers and leaders that contribute to a better world.